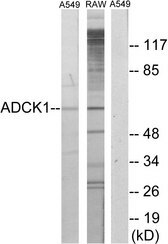 ADCK1 antibody LS-C119123 is an unconjugated rabbit polyclonal antibody to ADCK1 from human and mouse. Validated for Peptide-ELISA and WB. 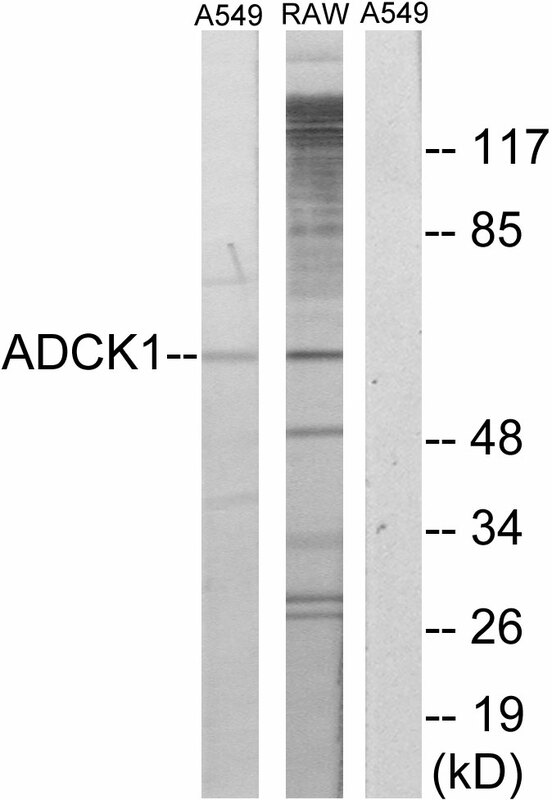 ADCK1 Antibody detects endogenous levels of total ADCK1 protein. Western blot analysis of lysates from A549 and RAW264.7 cells, using ADCK1 Antibody. The lane on the right is blocked with the synthesized peptide.